Justin Boyer, Max Levites, John Thornburgh, and C.
Whenever Nightwish comes to our shores, fans in the US invariably get very overexcited about the forthcoming Nightwish tour in their part of the country. Much like many of our readers, many of the writers for Sonic Cathedral, represented here, are huge fans of the band Nightwish. 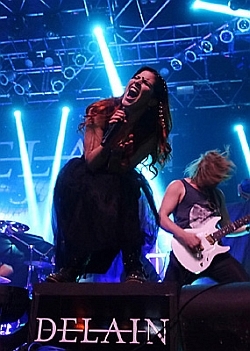 It has been a few weeks or so since their recent US tour ended, and we are here to share our thoughts about each of the respective Nightwish shows we happened to attend. It’s not often you can go to a music event in Wisconsin in short sleeve shirts but, with temps in the 60s, this was one of those rare events. The High Noon Saloon is located on the main drag on the Isthmus in Madison, between Lake Mendota and Lake Menona. And, when the temperatures are like this, and the students are still in town, you can expect a good crowd, especially when they have someone they know performing. Well, they may have limited experience with the Empress but the know lead vocalist Mary Zimmer who performed here for years with other bands. And the High Noon made the occasion special with the addition of several solid sounds; The Faith Hills Have Eyes, Black Box Warning and a Madison favorite, Vermillion doing some of the strongest Death Metal I have had the privilege of hearing. 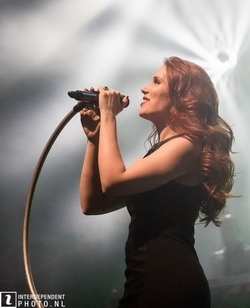 The only Enigma Europe club show of Epica in the Netherlands was in Groningen. As Epica originates from Limburg (in the South) the location Oosterpoort in the North is according to Dutch “standards” a long trip. I don’t know if it was the reason it was a long time ago Epica played there. For sure the VIP service provided by my sister-in-law in Groningen (she brought me to the venue and picked me up there to) made me go. And I’m happy I made the decision to go to Groningen.